I'm proud to say that 1/8th of my D.N.A. 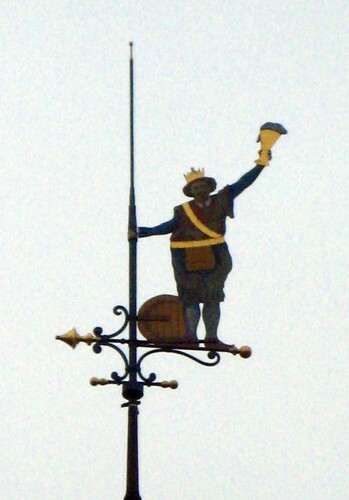 comes straight from the home of pilsener beer: Plzeň, Czech Republic. How could I travel 4,000 miles and not make a trip out of town to the mothership, and the mothership's most famous of breweries, Pilsner Urquell? I couldn't. It's unthinkable. Plzeň is located about 40 kilometers to the west of Prague, a short train or bus trip away, of course if your train leaves on time, which ours didn't. 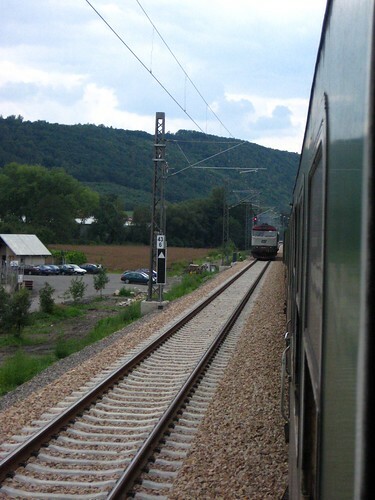 No matter, they still use the old trains where you can stick your head out of the window. 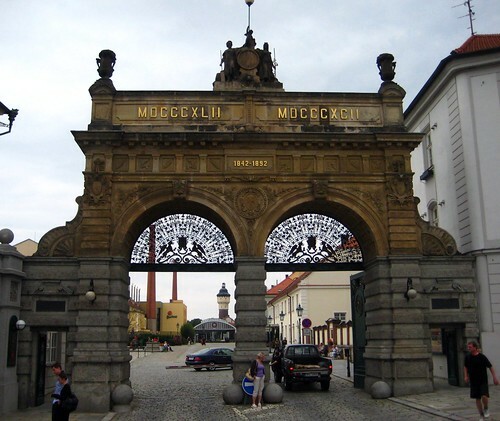 Once there, a quick five minute walk from the train station takes you to the iconic Pilsner Urquell gates dating from 1842. 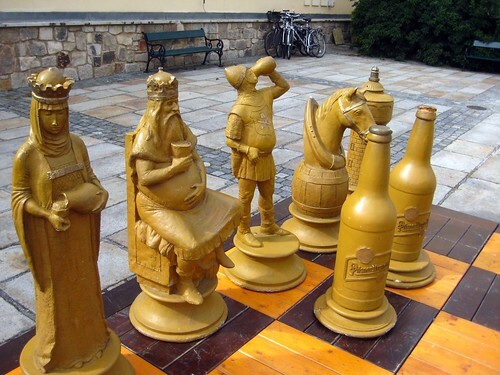 Inside the gates, you have the option of relaxing at an outdoor beer bar, trying to get a seat in the restaurant/beer hall-good luck, we tried twice and epic failed twice-or playing a game of drunken chess with missing pieces. The brewery tours are given in a few languages, and run throughout the day. 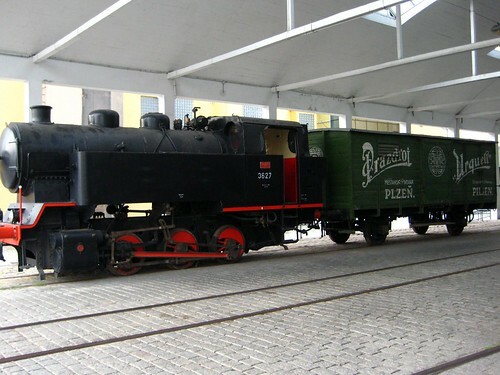 The real tour starts at the train station, Pilsner Urquell was so popular during the 1800s that it had it's own station, tracks, and trains, where a bus brings you up the hill to the main factory. The factory itself is quite impressive. The floor is a mirror plan, one side brings in fresh new bottles, while the other works off of recycled ones. After seeing the bottling or canning, it's off to see the brewing. 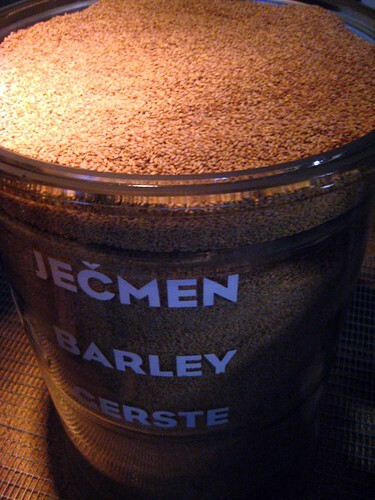 After a short film, you're ushered into a hallway containing samples of barley, pilsner malt, ground hops, the main ingredients in Pilsner Urquell. 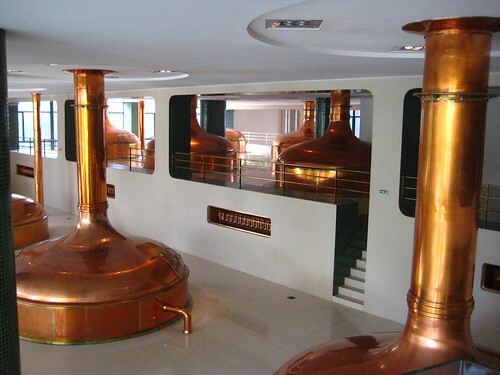 Then you get to see their mash tuns and brew kettles. 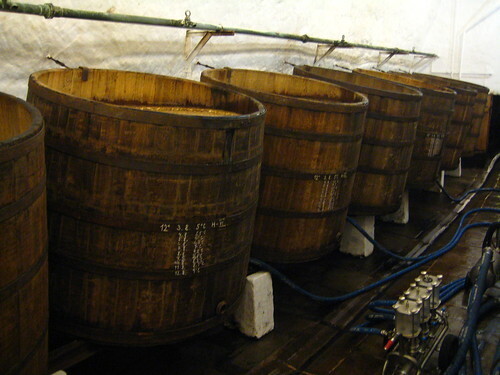 Pilsner uses a triple decoction mash: a third of the mash is drawn out during each decoction, boiled, and then added back into the mash. The next area shows the original copper pan used which was once located outside the brewery. 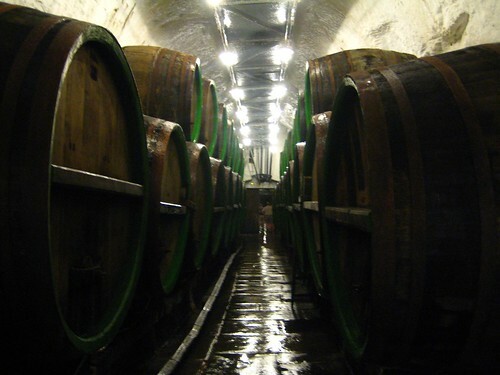 Then it's on down to the cellar, a nine kilometer labyrinth that used to be filled to the brim with oak barrels of beer. Now, they just keep a few filled for quality control; they want the Pilsner to taste true to the original methods. The cellars stay around 6°C (43°F) even during the hottest summer days, making this a welcome respite during the this time of year. 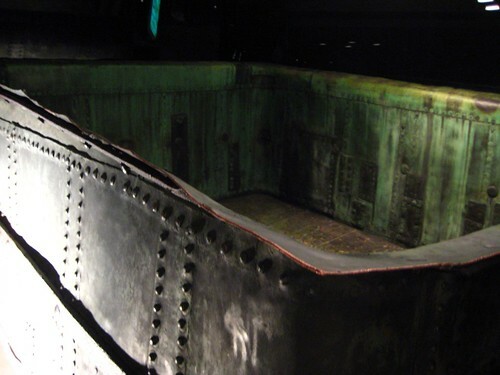 Prior to modern technology, they had to rely on ice rooms: winter ice was thrown down through holes in the ceiling, the melted water would stream through the cellar keeping the temperature cool. 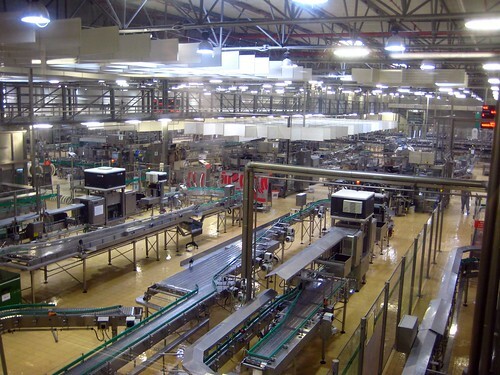 At the end of this area, the time comes to sample unfiltered, unpasteurized Pilsner Urquell. 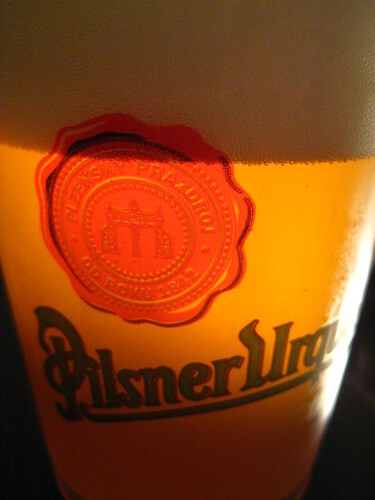 It tasted fresher, cleaner almost than regular Pilsner, but there isn't a radical difference. There are currently three English, three Czech, and one German tour a day, and it costs 150Kč ($8). 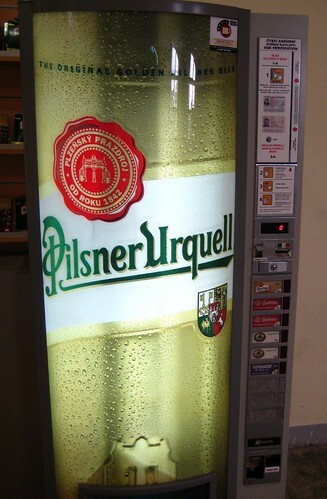 wow, a vending machine for beer. that's just full of happy.